VMware (NYSE: VMW), the global leader in cloud infrastructure, delivers customer-proven virtualization solutions that significantly reduce IT complexity. VMware accelerates an organization’s transition to cloud computing, while preserving existing IT investments and enabling more efficient, agile service delivery without compromising control. 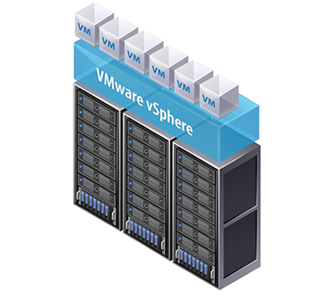 Offer the highest levels of availability and responsiveness for all applications and services with VMware vSphere, the industry’s most reliable platform for virtualization in the most demanding datacenters. Offer the highest levels of availability and responsiveness for all applications and services with VMware vSphere, the industry’s most reliable platform for virtualization in the most demanding datacenters around the world. 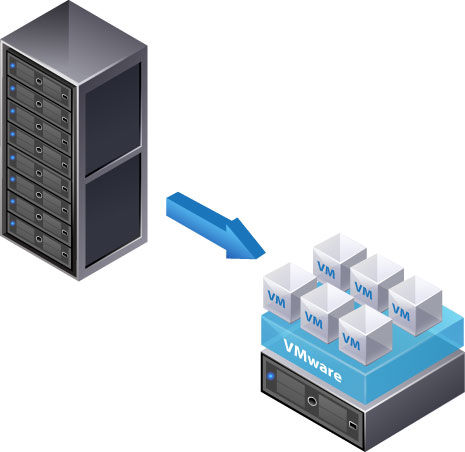 The VMware Server is based upon VMware’s proven virtualization technology. Leverage pre-built, ready-to-run virtual appliances that include virtual hardware, operating system and application environments from the Virtual Appliance Marketplace. Install and run VMware Server as an application on top of a host Windows or Linux operating system. A thin virtualization layer partitions the physical server so you can run multiple virtual machines simultaneously on a single server. Computing resources of the physical server are treated as a uniform pool of resources that can be allocated to virtual machines in a controlled manner. VMware Server isolates each virtual machine from its host and other virtual machines, leaving it unaffected if another virtual machine crashes. Your data does not leak across virtual machines and your applications can only communicate over configured network connections. 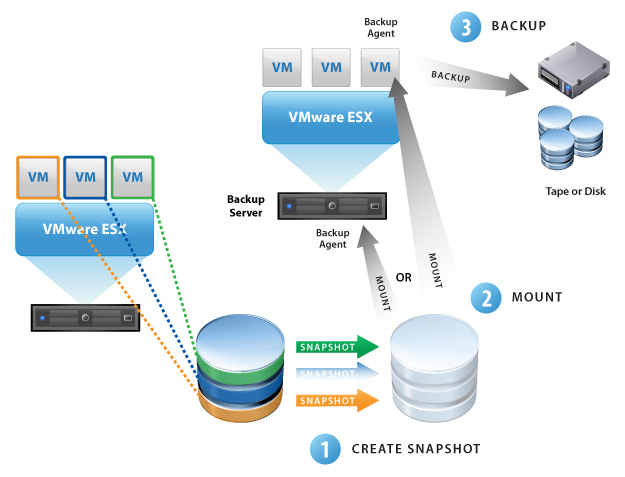 VMware Server encapsulates a virtual machine environment as a set of files, which are easy to back-up, move and copy. Enforce security and compliance policies, ease management, and reduce CAPEX while giving your employees the freedom to use their mobile device of choice. Manage and provision all mobile end-points and desktop from a single interface. Reduce costs and allow employees to use their own mobile device for work. Safely support a wide variety of mobile phones connecting to company network. Enable quick, simple and complete data protection for your virtual machines with VMware Data Recovery, a disk-based backup and recovery solution. Enable quick, simple and complete data protection for your virtual machines with VMware Data Recovery, a disk-based backup and recovery solution. VMware Data Recovery is your first line of defense for data protection. It’s fully integrated with VMware vCenter Server to enable centralized and efficient management of backup jobs and also includes data de-duplication to save on disk storage for your backups. Decrease downtime and improve reliability with business continuity and disaster recovery. 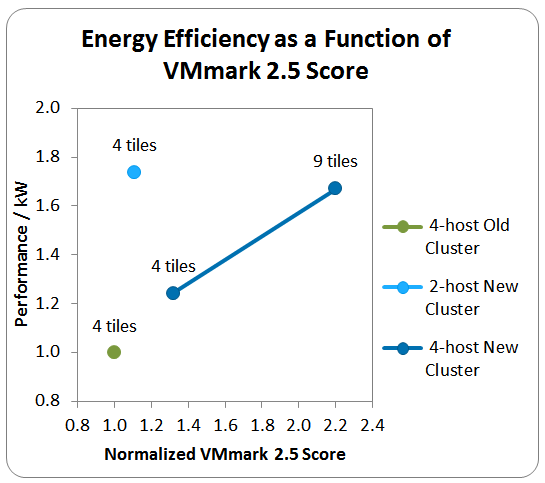 Get an accurate measurement of application performance in virtualized environments with VMmark, the industry's first virtualization benchmark for x86-based computers. Simplify desktop and application management while increasing security and control with VMware® Horizon View™ (formerly known as VMware View). Horizon View is used to deliver virtual desktops as a service in a broad range of enterprise use cases, enabling the best user experience for maximum productivity. IT administrators can easily provision and customize the environment to comply with corporate policy and end-user needs. Double the speed of Windows 7 migrations and cut costs in half by rapidly provisioning virtual desktops for end-user access without hardware upgrades. 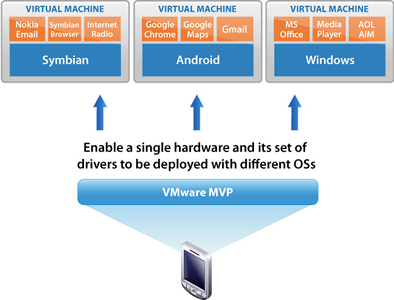 Virtualize applications to reduce OS and application conflict issues and streamline deployment. Simplify Remote and Branch Office IT Operations Centrally deliver high-performance virtual desktops to remote or branch offices such as bank branches, medical offices and even offshore facilities to empower users while reducing support and maintenance costs. Centrally deliver high-performance virtual desktops to remote or branch offices such as bank branches, medical offices and even offshore facilities to empower users while reducing support and maintenance costs. Rapidly extend IT resources to third-party service providers as an integrated desktop with unified-communication capability and minimal bandwidth requirements—without sacrificing control over security policies or administrative privileges. Horizon View delivers a purpose-built “business-process desktop” for secure, remote access to easily managed, centrally hosted virtual desktops. Leverage automated failover, load balancing, backup recovery and other built-in datacenter-class business-continuity and disaster-recovery capabilities to protect desktop data and ensure continuous availability for end users—at a fraction of the cost and complexity of traditional solutions. Easily integrate new technologies and updates without disruption to end users. Rapidly respond to changing business dynamics— such as those resulting from mergers, acquisitions and divestitures— by easily scaling up and down on demand. Giving end users access to centrally hosted virtual desktops enables them to roam freely from location to location and device to device, increasing workplace productivity without sacrificing security or compliance. Enable employees to access their data and applications from their traditional PCs, thin or zero clients, tablets and even personal devices—while maintaining corporate security and compliance policies. Enable a seamless end-user experience across sessions by maintaining the user persona with faster login times. Horizon View Persona Management reduces costs by enabling more cost-efficient, stateless floating desktops. Further information on VMware solutions can be found on VMware website at www.vmware.com. For any clarifications please feel free to contact us at +357 22028128 or send us an email at vmware@zebrac.com.